When a small surface area suffers a mold infestation in Lakeville or the surrounding areas, SERVPRO is a wise choice for remediation. 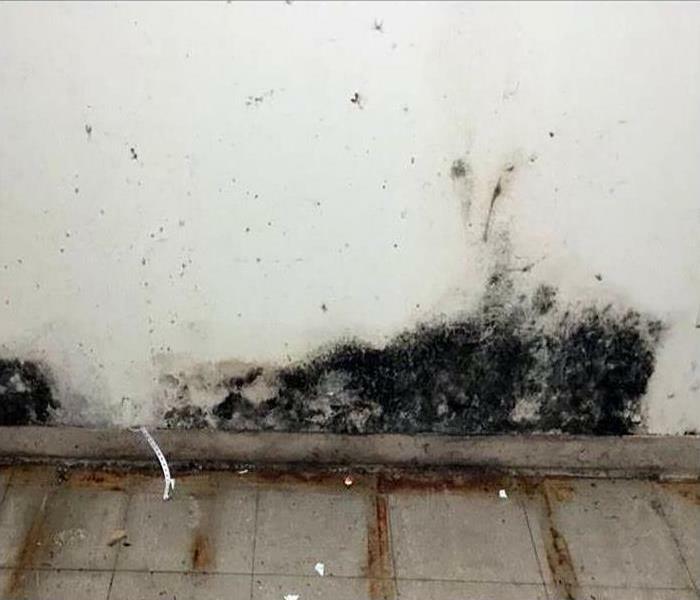 To remove the mold safely and without contaminating unaffected areas of the basement, a containment barrier and an air scrubber can be the answer. Storm damage at this Burnsville home resulted when a window was broken in the pictured room. Stormwater rushed through the broken window and left standing water on the floor which was adhesive tiles. The tiles lifted away from the floor as they lost their adhesion. 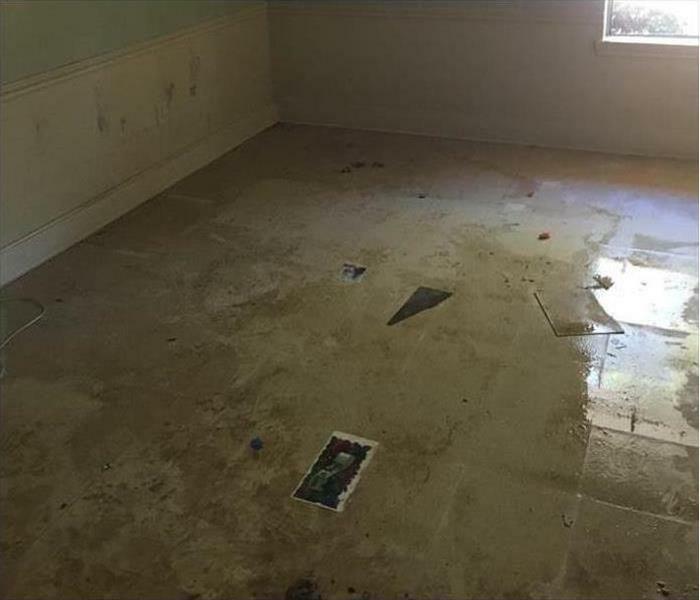 SERVPRO of Burnsville / Lakeville would suction up the standing water to limit any further damage to the subfloor. They would then remove the damaged tile floor and set up air movers and dehumidifiers to dry the subfloor. Once dry they would replace the flooring for the owner of the property. Vacant homes are susceptible to flooding from small leaks in the Burnsville area since no one is there to discover the leak. 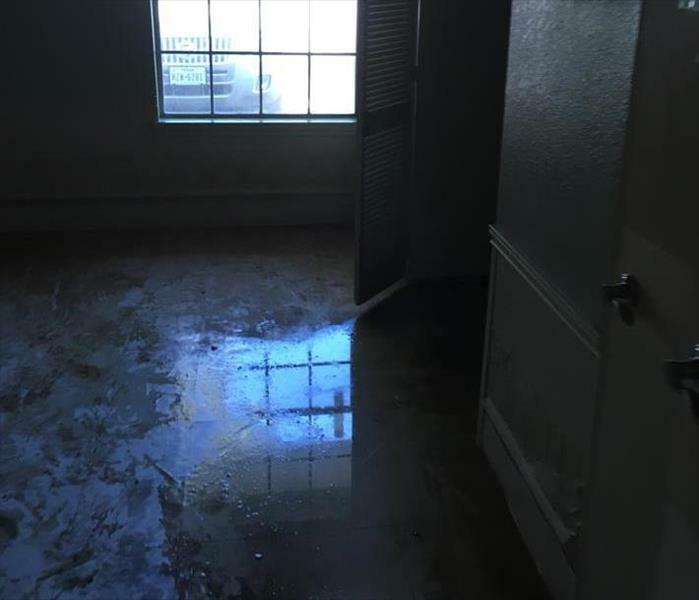 Mitigating the water damage with fast water extraction is a cornerstone of SERVPRO's services. We are just a phone call away. 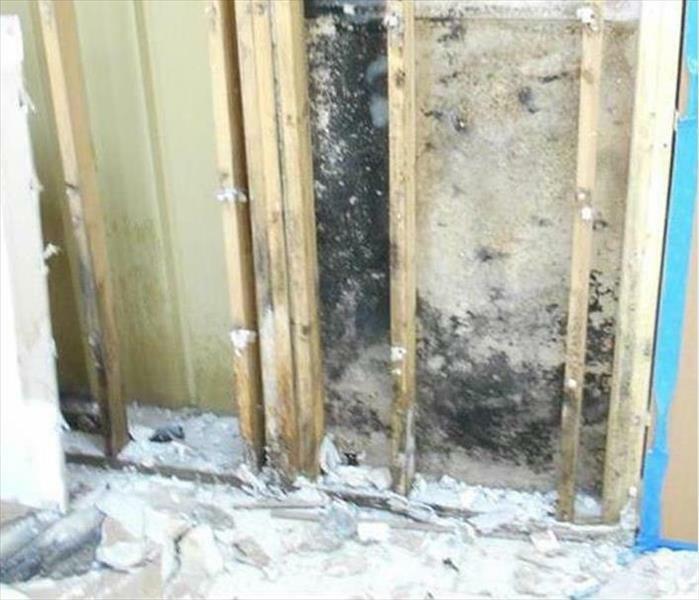 Finding mold on your commercial property can cause loss of productivity and revenue. It does not matter if your property is a large retail store or small office building we can handle any size disaster. 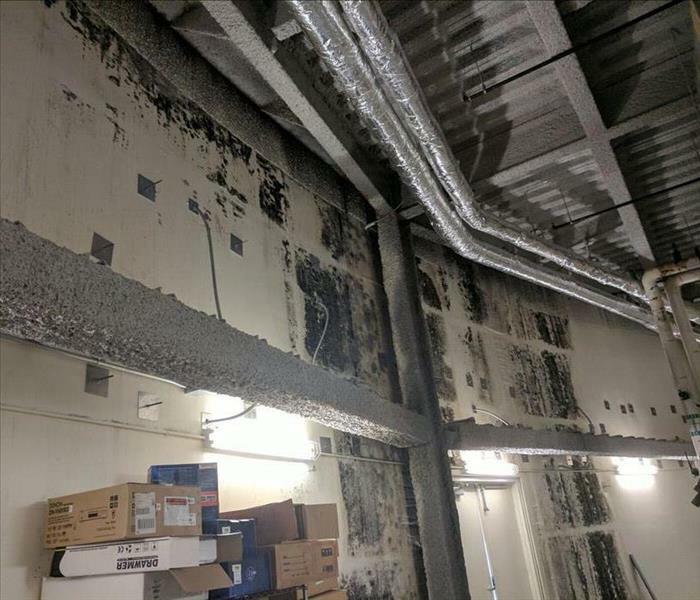 SERVPRO of Burnsville / Lakeville has the mold damage experience and mold remediation equipment needed to restore your commercial property to pre-damage condition. We’re Faster to Any Size Disaster! 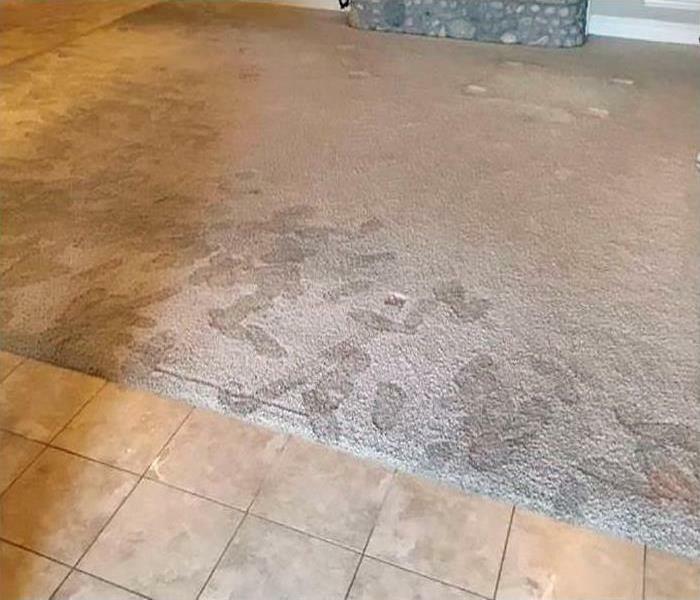 This photo illustrates how a SERVPRO team of AMRT applied microbial remediation technicians can leave a mold remediation service in the Lakeville area. The drywall has been removed, and the lower portion of the studs have been painted with a mold and mildew retardant paint that also helps control odor emissions. Storm damage at this Lakeville house occurred when a French door window was broken by flying debris as the storm raged on. The broken window allowed a lot of rainwater into the house. SERVPRO of Burnsville / Lakeville provides twenty-four-hour emergency service for storm damage like this. You can depend on us to dispatch our crew quickly and clean up your water damage and any damage to your structure. A fire in your home can be disastrous, and our team is ready to help 24/7. We have the specialized equipment, advanced training, IICRC certification, and fire damage experience needed to restore your home to pre-damage condition. When it comes to fire damage repair the team at SERVPRO of Burnsville / Lakeville is your only choice. Mold infestations can wreak havoc on warehouses in Burnsville storying both inventory and client products. The wise move is to contact SERVPRO to send out mold remediation technicians to clean up the mold and spray an antifungal agent on the walls and ceiling. Mold damage was discovered in this Burnsville house by the homeowners. They immediately decided to seek professional help as they knew that cleaning mold damage was no easy task. 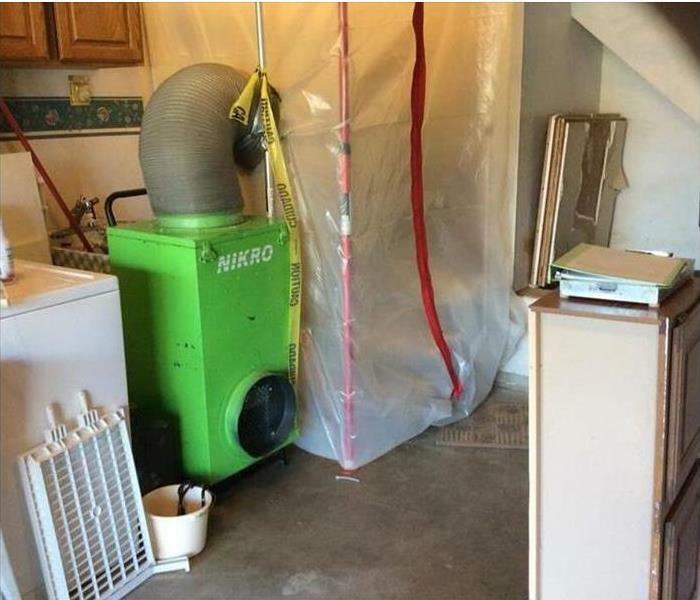 SERVPRO of Burnsville / Lakeville has specialized mold remediation equipment to restore a property to preloss condition. 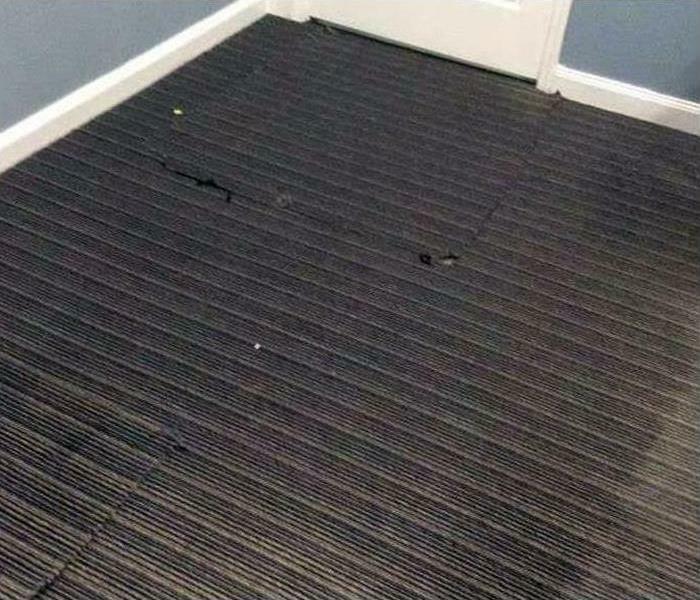 The water soaked the trim in this Farmington waiting room overnight. Fortunately, the wood-like tile flooring held up against the water intrusion. SERVPRO techs can remove the baseboards to facilitate the drying process and salvage the building materials. SERVPRO of Burnsville / Lakeville knows fast action is required when dealing with storm damage cleanup and restoration. We provide 24-hour emergency service to our customers so day or night we are ready. We have the training, equipment, and storm damage experience to restore your commercial or residential property to pre-damage condition. 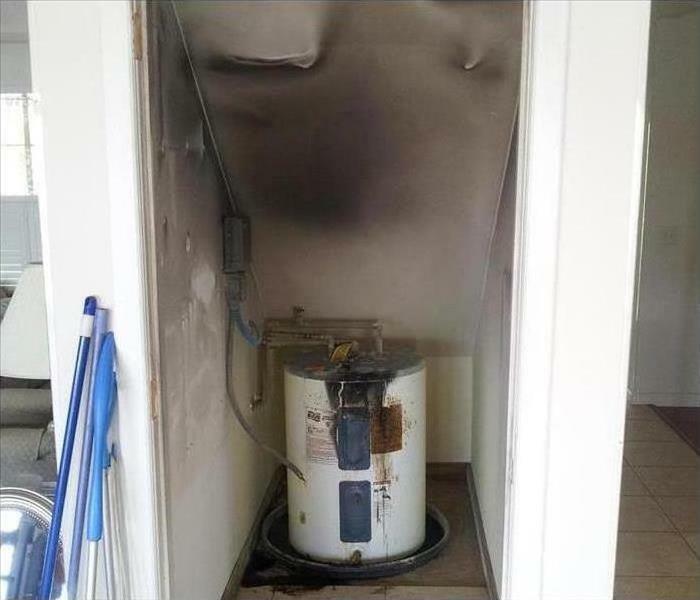 Fire damage at this Lakeville condominium resulted from an electrical fire in the wiring of this water heater. The fire damage was minimal, but there was significant soot and smoke damage to the utility room and the adjoining hallway. 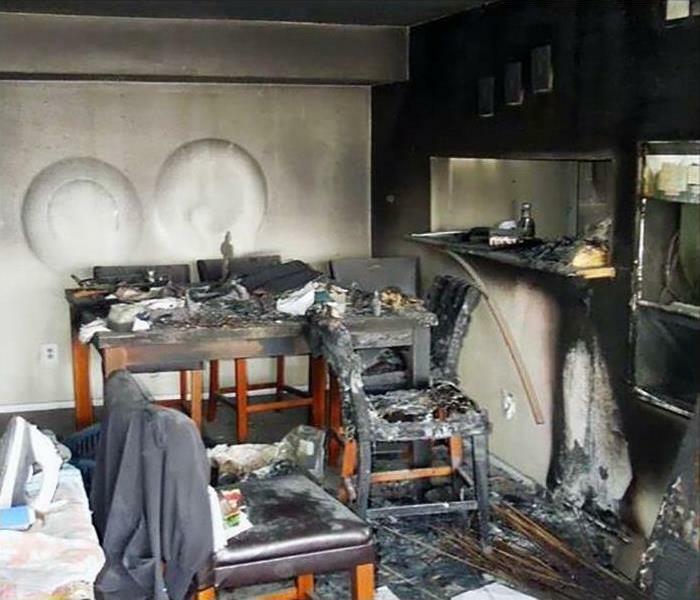 SERVPRO of Burnsville / Lakeville can facilitate repair of the faulty wiring and clean up the soot, and smoke damage using SERVPRO tested and proven products and procedures. The visible mold growth inside the wall cavity is exposed after the demolition of the sheetrock. 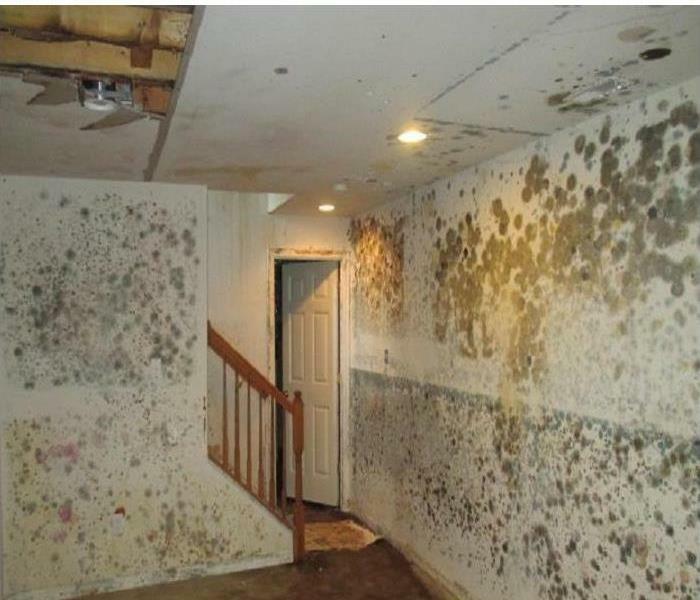 Mold infestations only worsen when ignored, and a source of moisture and food is available. 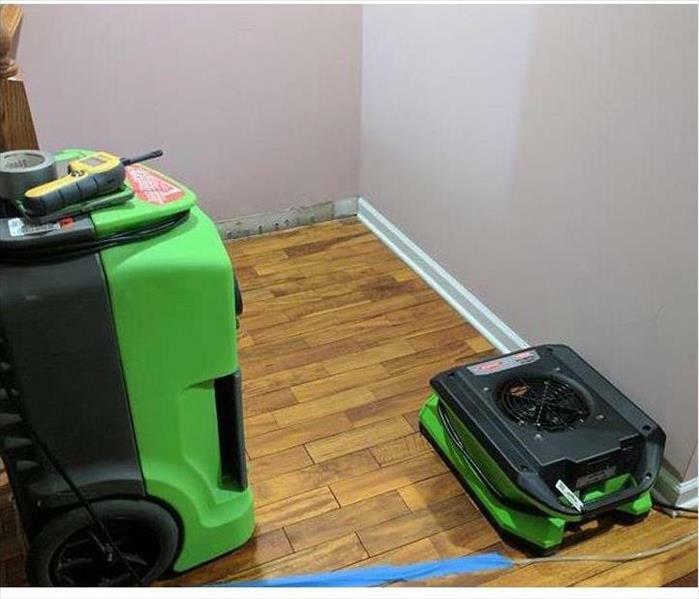 SERVPRO can provide competent AMRT techs to clean up and disinfect the damaged areas and provide the customer with a safe and clean environment. From small office buildings to large retail stores, we have you covered when it comes to commercial water damage. 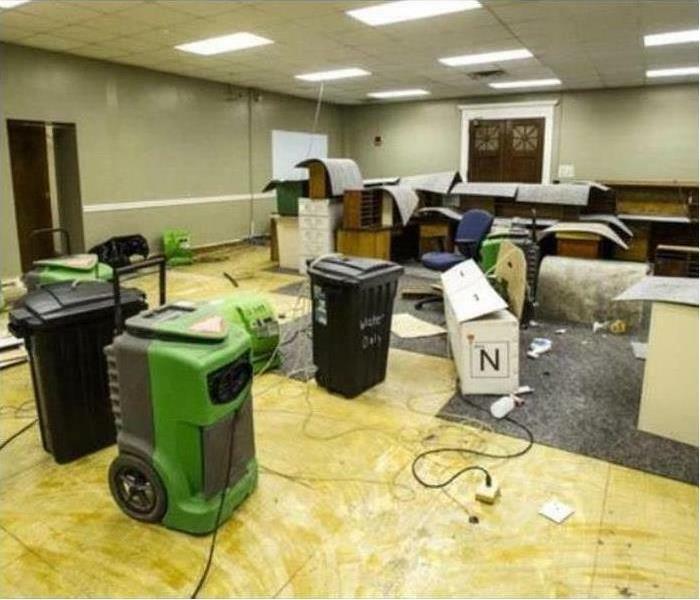 SERVPRO has the advanced equipment, specialized training, and experience to manage large commercial water damage emergencies. Our team will respond immediately to mitigate the damage and oversee the restoration project through to its end. We’re Faster to Any Size Disaster! Cleaning up after a storm should only be left to a professional restoration company like the ones at SERVPRO. We will use state-of-the-art equipment and scientific drying techniques to restore your property to pre-damage condition. Our technicians will document the drying process to verify that your home is completely dry. We're Faster to Any Size Disaster! Mold can spread quickly, and within 48-72 hours you could have a mold infestation in your home. Our team needs to be contacted right away if you spot mold growing in your home. 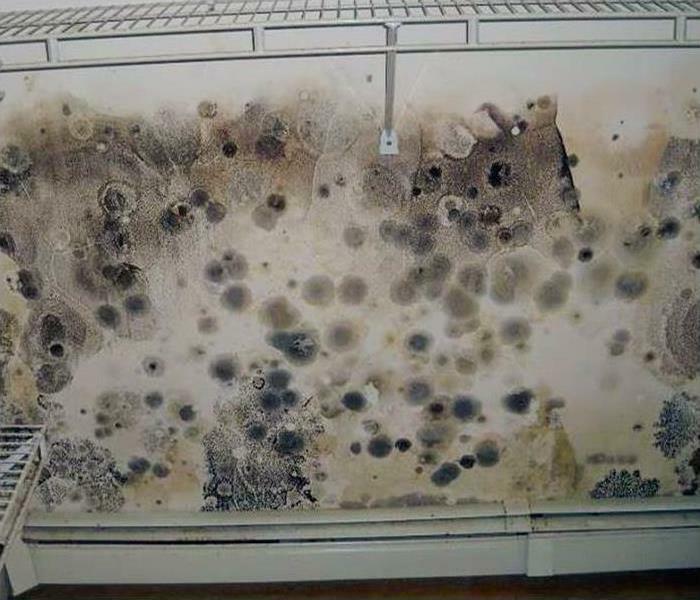 We have the advanced equipment and training to take care of your mold issue and return your property to pre-damage condition. The removed carpet allowed for heated air movers and dehumidifier to remove the remaining moisture from this Burnsville home. The particle subflooring requires careful and patient efforts to restore standard moisture content levels and prevent the need for replacing. Call SERVPRO to save you time and money. The kitchen fire in this Lakeville home caused considerable damage to the ceiling, but less to the cabinets and appliances. If SERVPRO is called quickly, we can mitigate the physical fire damage and also control the noxious smoke odors. Commercial water damage at this Burnsville conference center was caused by a broken water line. We cleaned up the standing water with trailer mounted water extraction equipment and then set up commercial air movers and dehumidifiers to speed along the drying phase of the project. We do everything we can to get our clients facility back in operating condition quickly. Storm damage in Lakeville can sometimes create large-scale water damage problems requiring large-scale industrial equipment to mitigate the storm damage losses. Pictured is a trailer mounted desiccant humidifier which is used in large-scale storm damage projects. Water damage to Lakeville properties can require sophisticated professional equipment and technicians that have been trained in the use of that equipment. Shown here is an industrial air mover which is often used in conjunction with dehumidifiers to aid in the drying process during water damage restoration. The lay flat ducting tube is suctioning mold, and spores from the mold remediation service transpiring on the second floor of this Lakeville home. SERVPRO has the technique and equipment to restore this house to its preloss condition safely without contaminating unaffected regions of the structure. 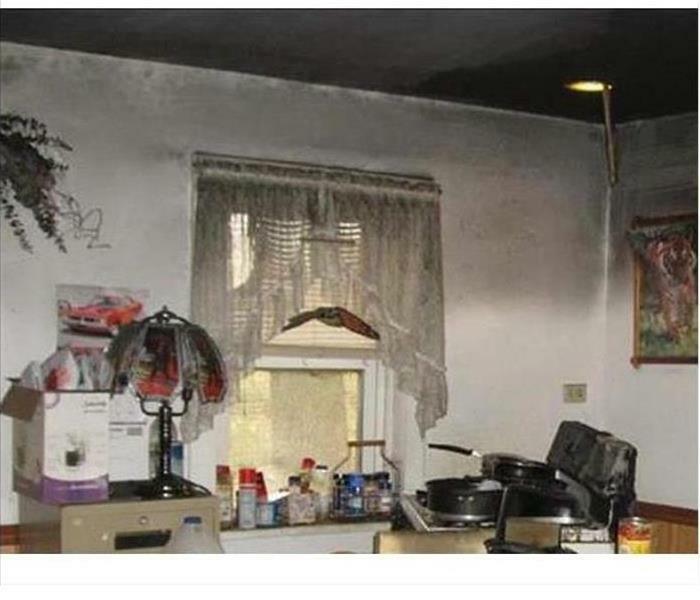 The frying pan was unattended and charred the chicken and left a soot-like residue in this Lakeville kitchen. SERVPRO always attempts to clean up and repair before replacing building elements. Homeowners are very appreciative of saving them money and inconvenience. This mess can be wiped down and the ceiling primed before the final restoration. 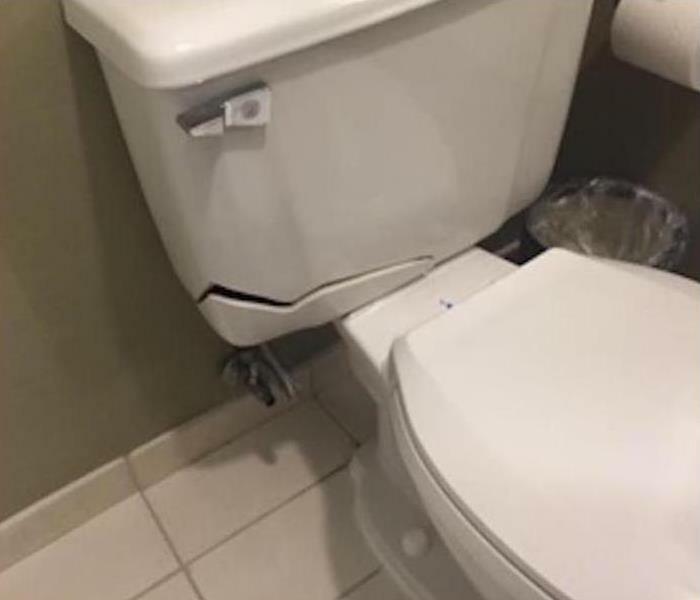 Commercial water damage resulted in flooding at this Lakeville hotel when a toilet bowl was accidentally cracked when it was cleaned. The water damage cleanup project extended to three additional rooms on the floor below where the damage had taken place. Storm damage restoration services in Burnsville sometimes requires alternative sources of power to run the equipment SERVPRO of Burnsville / Lakeville brings to the job. 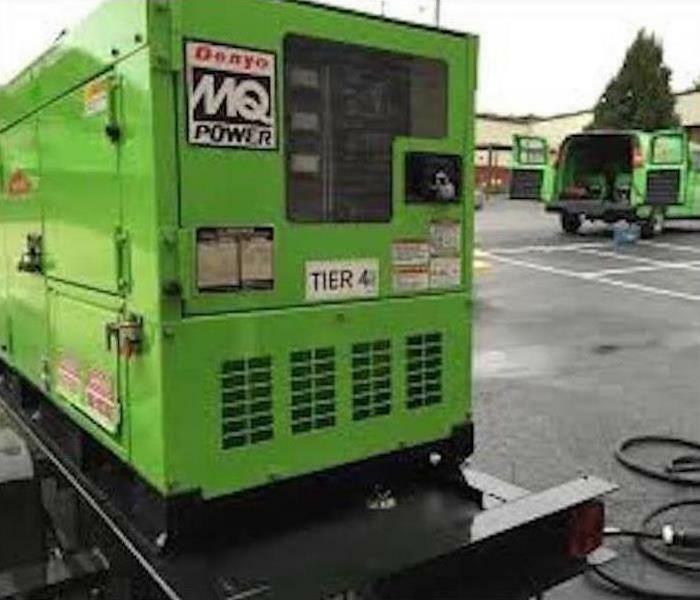 Pictured is a large commercial generator used by SERVPRO when conventional sources of power are unavailable or not sufficient to get the job done. Water damage in Lakeville may not be visible to the eye or even the touch. 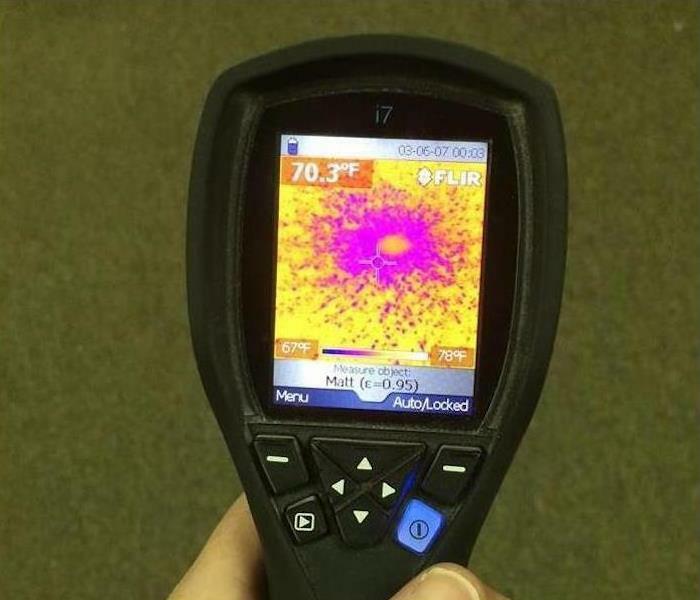 SERVPRO of Burnsville / Lakeville employs the use of Thermal imaging cameras to detect hidden pockets of moisture. These devices make it easier to produce an action plan that targets the precise area that needs remediation. Fire damage at this Burnsville home left much of the home with severe soot and smoke damage. Pictured is a bathroom in the house with severe soot and smoke damage. The fire had burnt very hot, which promoted the movement of the soot and smoke throughout the house. 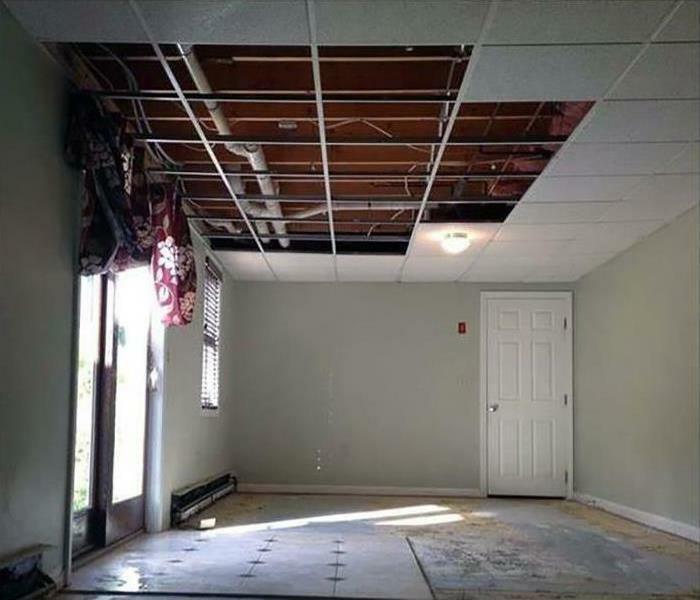 This bank owned property in Lakeville was ignored, and the moisture from the leak in the roof ruined the drywall ceiling and walls. Demolition and discarding of the rubble according to code were the first step in the mold remediation service.